It is school time again. 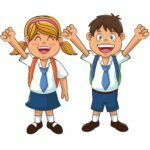 Don’t make going back to school a back pain! With the new school year starting you want to make sure you are giving your kids the best chance of having a great school year. Your kids are young developing, growing bodies. Getting the right backpack is going to help reduce stress on their young spines. Daily backpack wearing is a common cause of discomfort for school children. Although we all think little kids poking out from under a giant back pack is cute. Backpacks put unnecessary strain on young spines. It is important to correctly wear and distribute the weight in your back pack. It is also important to reduce the weight your children carry everyday. Chiropractic care is proven to be effective for children and young adults. 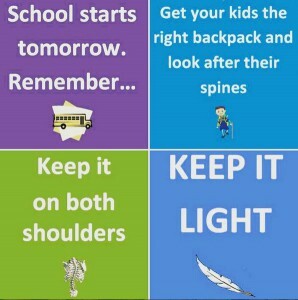 Chiropractic can restore correct function to the spine and relieve symptoms associated with carrying heavy backpacks. They should have wide padded shoulder straps. They should not be wider than the carriers chest. They should not be too deep – to keep the weight close to the childs current centre of gravity. They should not have too much height – you do not want a back pack that is bigger than the child’s spine. 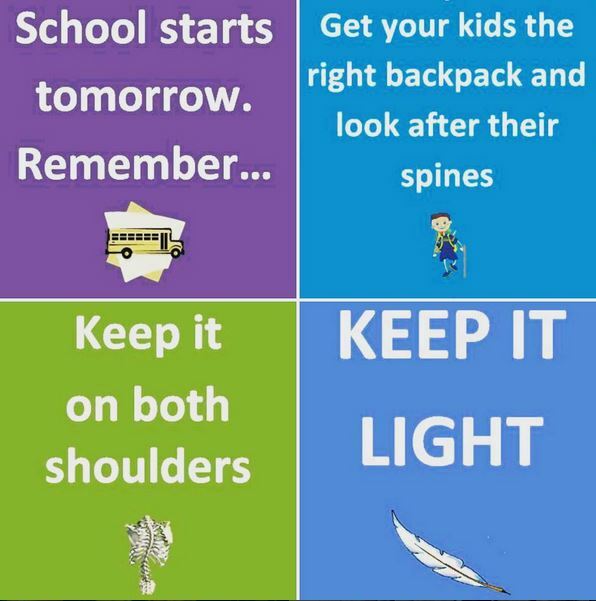 The back pack should have waist straps – these are there for a good reason – make sure your child uses them!! Choose Comfort not style – above all your kid should be comfortable. Great now you have a back pack that will reduce the strain on you child back. Helping to prevent back pain. Here’s how to pack it. Place all heavy items in bottom of the pack. Weigh it!! – backpack ideally should be no heavier than 10% of you childs weight. At Hands On Health Care Clinic we recommend regular spinal screens for all children. We encourage you to bring your child for have a free scoliosis assessment at our clinc. If your child complains of any back or neck pain it is important to have them assessed. 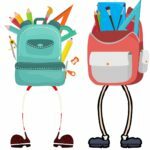 Backpacks commonly cause pain for kids. 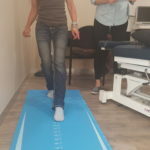 They increase the load on the spine causing the joints and muscle to fatigue. Chiropractic care can reduce this back pain and fatigue. Call 9949 3017 and ask how we can help you.